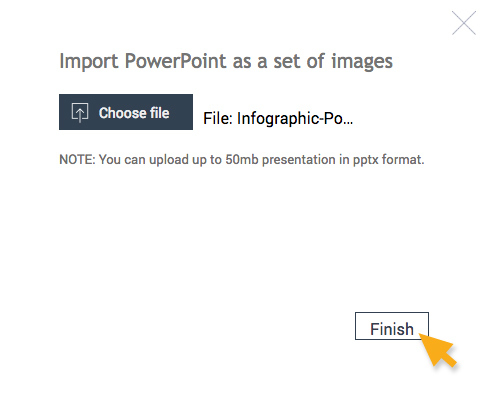 Visme allows you to easily import your Powerpoint presentations. 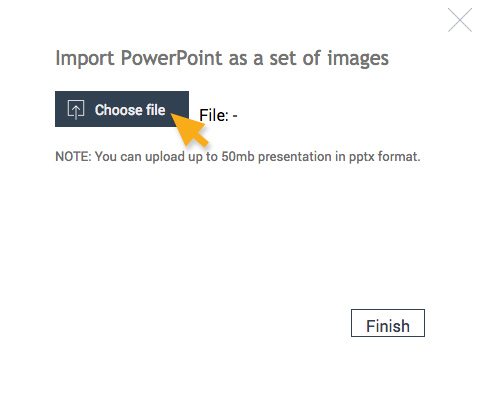 There are a number of reasons why you would want to import a Powerpoint to Visme. – You can easily share your presentation with your audience. – You can share it on social media, email, or publish it via a URL. – You can make your Presentation private with password protected. You can keep it public. – You will no longer have to attach large files to your emails. You can just send them the url to the project. You can also make the project private with password protection so you can decide who can edit or view your project. – You can track the effectiveness of your presentation by using Visme track analytics including when, where and how long your project is being viewed. – You can even convert your Presentations to generate leads using the Visme lead generator feature. 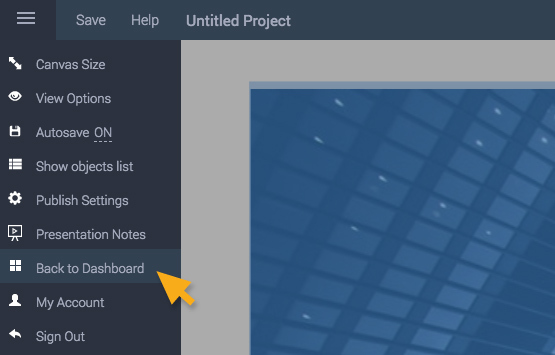 First go to your Dashboard by logging into your Visme account or if you are currently editing a project, click the Main menu drop-down to go back to Dashboard. Once you are at the Dashboard, click the grey button which is located near Create button. Tip: Your PowerPoint presentation will import as images, which flattens each slide of your project into images. Each image will be its own slide. You will not be able to edit the image, but you can always place objects on top. This method also ensures the closest match of the slides to your original powerpoint. Click Choose file and select the .pptx file. It is important that the file is in .pptx and not .ppt which is an old version of powerpoint that is very outdated. If the file type is different, you can go into Powerpoint and Save As a .pptx file. Once you choose the file, click Finish. Your project will start its import process into Visme. Note: Depending on the import type (as Image), number of slides and layers your presentation, the process can take seconds to as long as a few minutes. 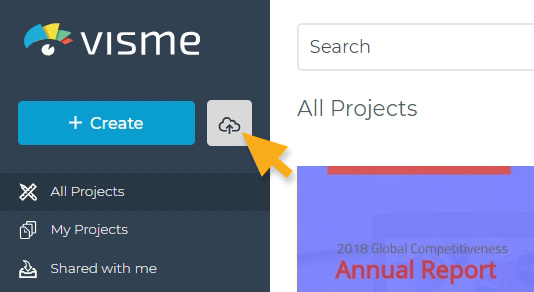 Once the import process has been completed, you will have your Powerpoint online and can then open it in Visme editor and begin editing and publishing it. You can also go to the Publish settings to set the privacy and access permissions.